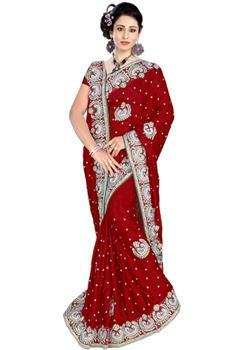 Traditional green designer saree prepared from satin fabric. 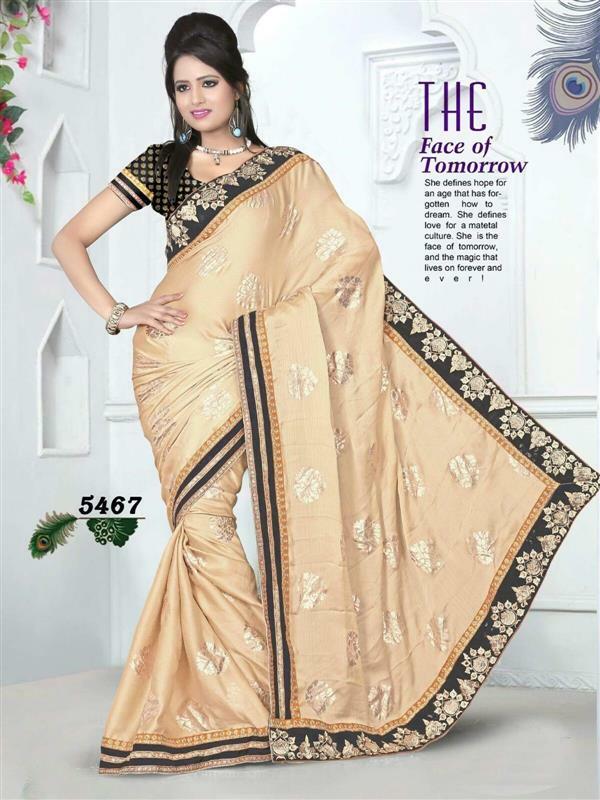 It is decorated by the mango shaped glossy design across the whole saree. The dark pink and golden zari and tiki cut work border and floral aariwork in pallu enhance its glance.